Bentley's first SUV is currently finishing real world testing. 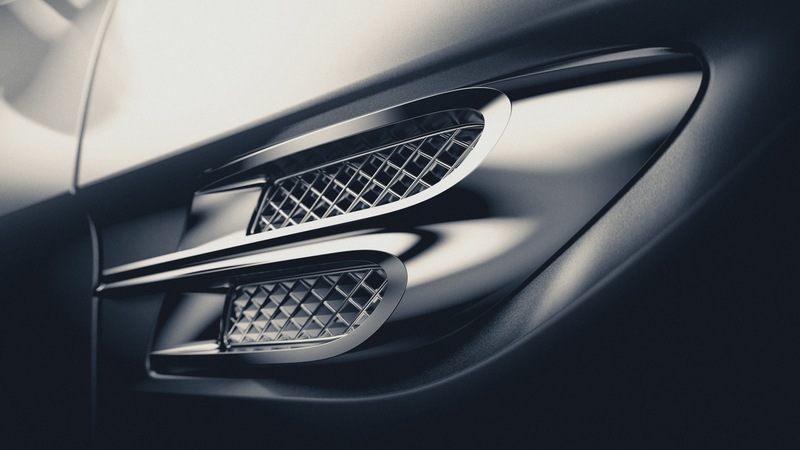 Bentley today confirmed that its first SUV will called the Bentley Bentayga. The "sector defining" SUV as Bentley calls it would offer an "impressive" combination of on-road and off-road driving. It will be showcased later this year and launched in 2016. This teaser image, that reveals the fender element, accompanied the announcement. The name is derived from the rugged peak "Roque Bentayga" which is located in the subtropical Canary Islands. "Bentayga is a name that reflects what we know our SUV will do better than any other car in the world – combine the best automotive luxury with outstanding performance to take the Bentley experience to new environments." Last year the company announced that it was making an investment of 40 million pounds (INR 387.64 crores) for the expansion of its headquarters in Crewe, UK. where a new Research & Development (R&D) centre is to be set up, which will house a design studio, R&D office, and a workshop. The total commitment Bentley has made over the last three years stands at 840 million pounds (INR 8134.3 crore), most of which has gone into the preparation for the Bentayga. Technical specifications have not been announced, but reports say that the car would sit on the VW Group's MLB-Evo platform and source power from the current 4.0-liter twin turbo V8 engine and 6.0-liter W12 engine. A plug-in hybrid is expected in 2017. Earlier, Bentley's sales & marketing head Kevin Rose told the media that the Bentayga would be the fastest SUV on sale.